Computerized Voice means we are giving some input data then it re-speaking the word. it is the great way who unable to speak in good pronunciation to record their articles. For that we are using some VBScript in notepad to create a magic. if you want to see this computer tricks please see this post. Command prompts is faster way to complete any task in computer. it is boring but the work is very good compare to others. it can used from every thing for watching ASCII Star Wars to making folder. when you create a folder through command prompt that you cant delete it. 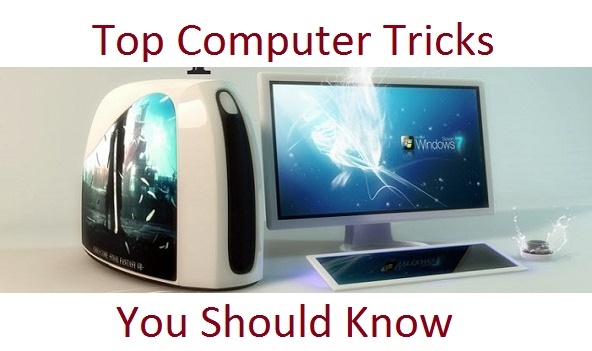 See this post to know every thing about Command prompt.if you want to see this computer tricks please see this post. if your work is not completing through mouse in time then you have only one alternate solution to complete any work in time that is Keyboard Shortcuts.Keyboard Shortcuts makes your life in cool way so you should know Keyboard Shortcuts.if you want to see this computer tricks please see this post. You bored of your PC Processor then you can change your PC Processor to make you PC special.and you can play a game in front of your friend. But the original processor will never change until you really replace the hardware. it is just a frank. if you want to see this computer tricks please see this post. if you deleted your important files or any data permanently. But now the deleted files want to recover then how to get the deleted files so we have some free tools to recover your deleted files easily. if you want to see this computer tricks please see this post. Designed and Developed By All Tech Geeks. Awesome Inc. theme. Powered by Blogger.